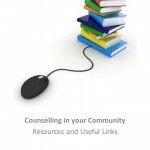 This page has useful links for new perspective counselling clients or individuals seeking information on organisations who provide counselling, support, advice and guidance. Click on the links to find the websites. Adfam is a national charity working with families affected by drugs and alcohol and is a leading agency in substance related family work. They provide a range of publications and resources for families about substances and criminal justice including an online message board and a database of local support groups. Alcoholics Anonymous – (0845 769 7555) For those who think their drinking to becoming a problem, Alcoholics Anonymous offers the chance to talk to someone with personal experience of the issues. Cruse Bereavement care – (0114 249 3328) exists to promote the well-being of bereaved people and to enable anyone bereaved by death to understand their grief and cope with their loss. The organisation provides support and offers information, advice, education and training services. Citizens advice offers confidential, impartial advice on rights and responsibilities across the UK. Step Change Debt Charity – (0800 138 1111) offers free, anonynous debt advice. Breathing Space – A free and confidential phone-line service for any individual, particularly young men, experiencing low mood or depression, or who are unusually worried and in need of someone to talk to. Divorce Aid – if you or someone close to you is going through divorce or separation, we hope to guide you through the emotional and legal journey as well as providing assistance about finances and children. Time is a healer; spend some time with us. From distress to recovery, you are not alone and it will get better. British Association of Counselling and Psychotherapy (BACP) is a professional body representing counselling and psychotherapy with over 40000 members and works toward a better standard of therapeutic practice.. Through the BACP you can find information about counsellors in your area.